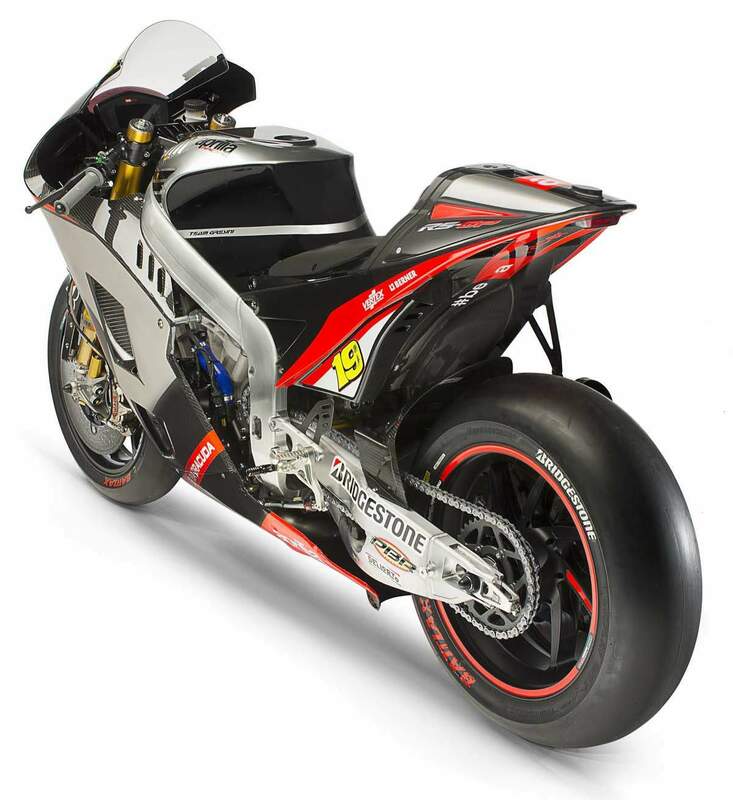 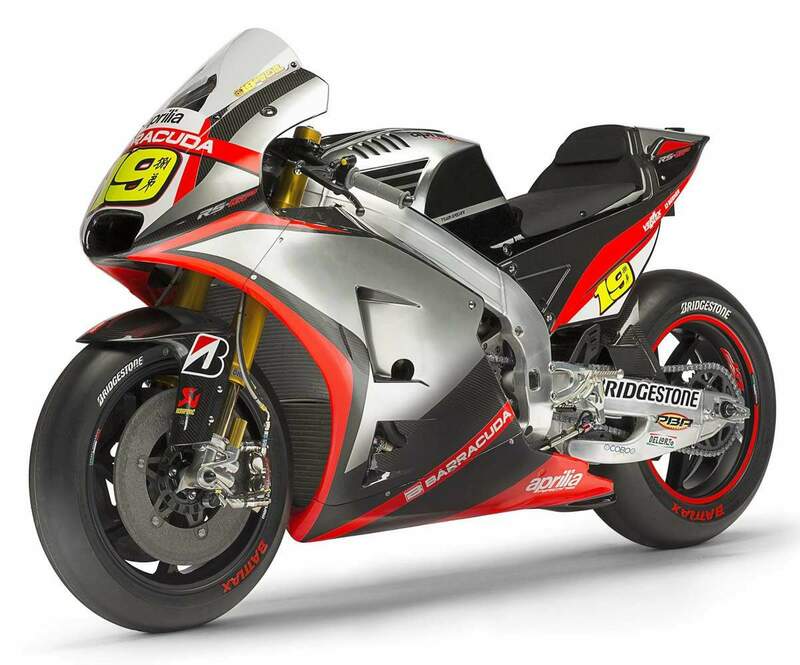 Marco Melandri and Alvaro Bautista’s 2015 Aprilia RS-GP race bike. 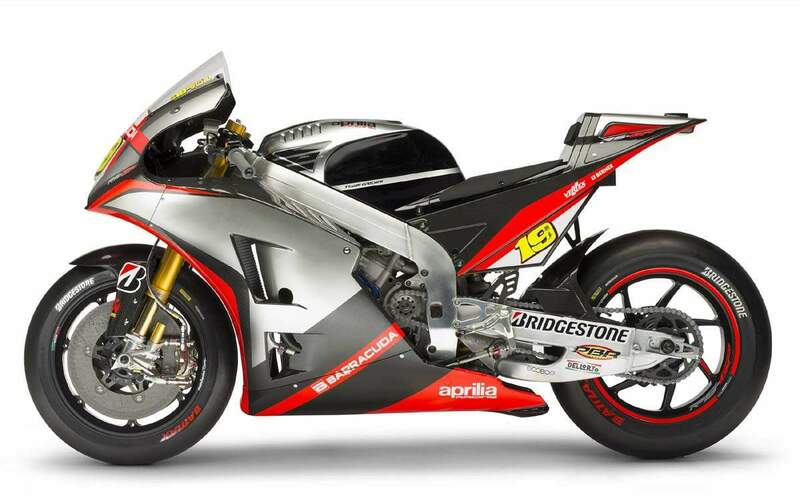 The RS-GP is an evolution of the Aprilia ART project, now with pneumatic valves, an 81mm bore, and evolved electronics. 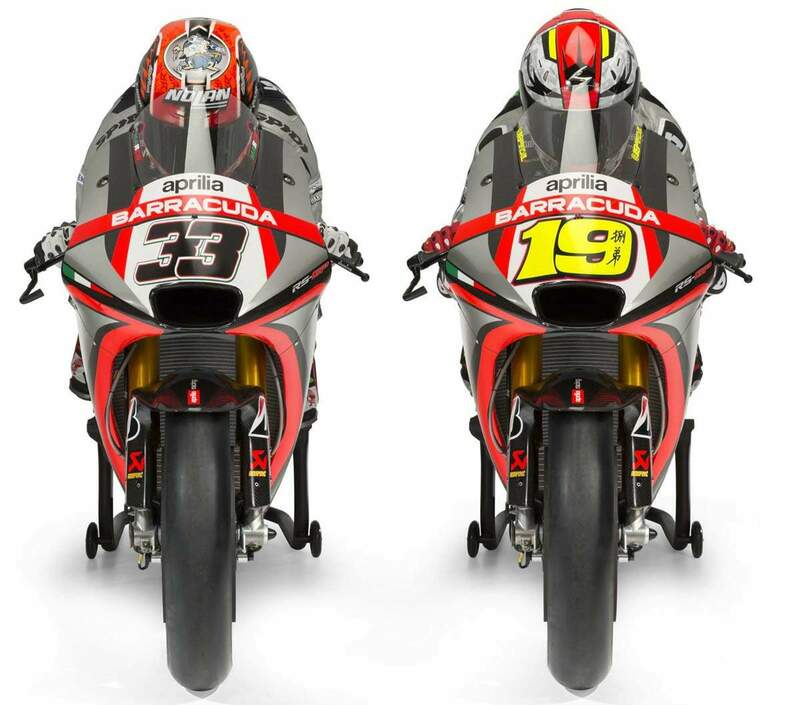 There is a lot of ahead for Aprilia Racing, Gresini Racing, and their riders.